Below are snippets of information about activities which have taken place in the Winllan during recent years. 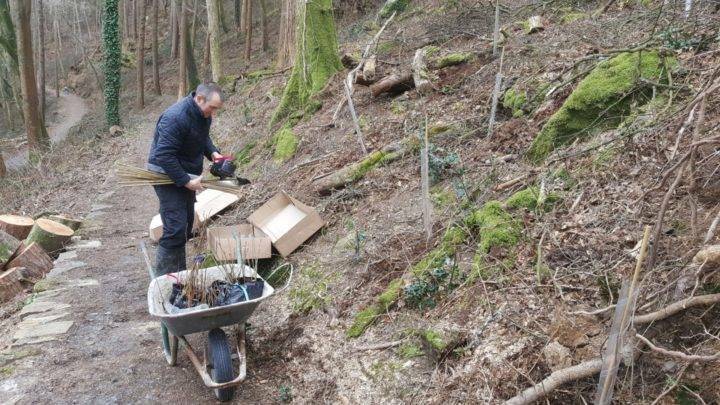 Nearly 200 trees have been planted in the woodland at Plas Glyn-y-Weddw during the early spring of 2018. The trees include a mixture of native species including oak, rowan, birch and willow and were received through the Woodland Trust's Free Trees scheme. The hydreangas planted in 2012 on the fringes of the car park are now in full bloom offering a colourful scene on arrival to Plas Glyn y Weddw. During 2015 the middle footpath, known as 'Solomon's Path' has been resurfaced and part of the woodland's boundary wall has been repaired.As a result to these recent developments, all the woodland footpaths have been restored and offer leisurely and interesting walks in an enchanting environment.These developments have been funded by the Welsh Government's Nature Fund which focuses on protecting biodiversity and delivering benefits to communities. Spring flowers are at their best at Plas Glyn y Weddw at the moment, giving a variety of colour to the woodland and gardens. The wildflowers in the woodland, rhododendron and plants which were planted around the open air theatre in 2012 are in full flower at the moment. The bluebells are spreading annually and the wood sorrell add to the wealth of natural growth on the woodland floor. The azeleas planted around the open air theatre are flourishing and the red campion which were sown last year add colour to the meadow above the theatre. 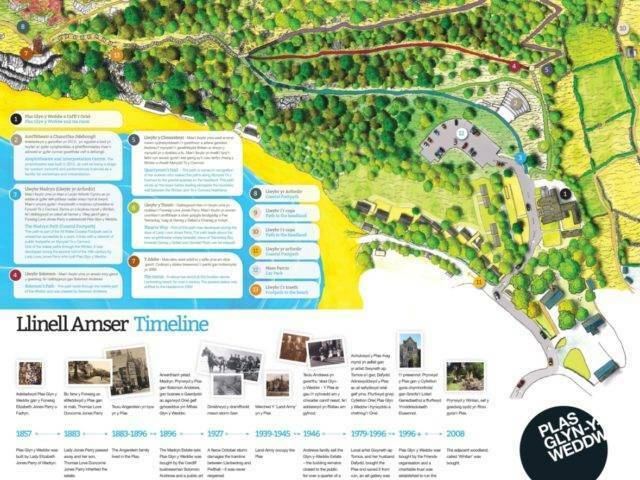 ALL the woodland paths at Plas Glyn y Weddw are now open to the public for the first time in 70 years. 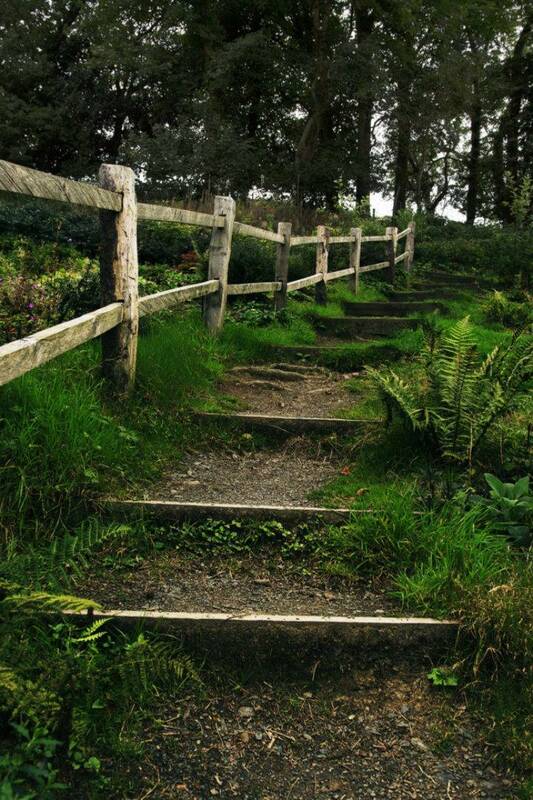 Repair work has recently been undertaken on the only path which remained closed in the woodland. As a result the whole network is now open for the public to enjoy. 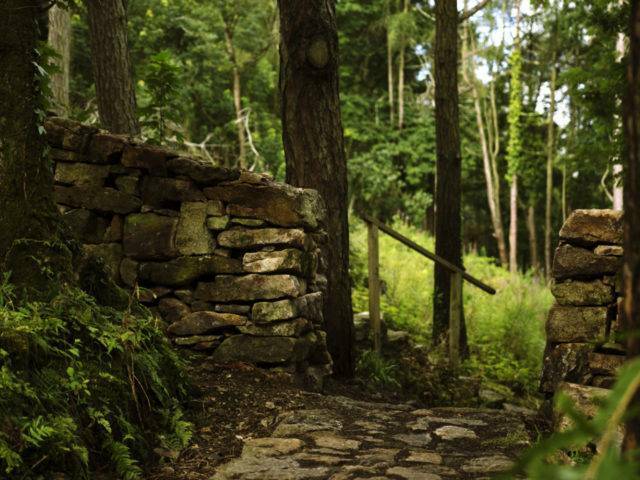 In addition to clearing the dense growth of invasive species, namely rhododendron and laurel, we can celebrate that we have reached our aim of re-opening all the paths. 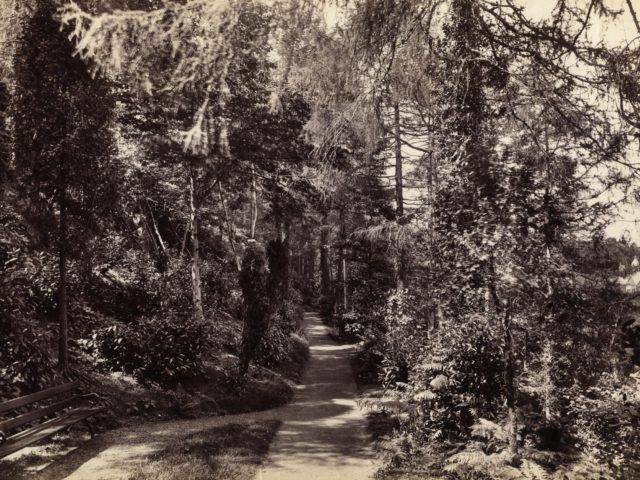 Contractors repaired the path that has been named 'Solomon's Path' by us– to remember Solomon Andrews, who purchased the Plas in 1896 and established a public art gallery here for the first time. 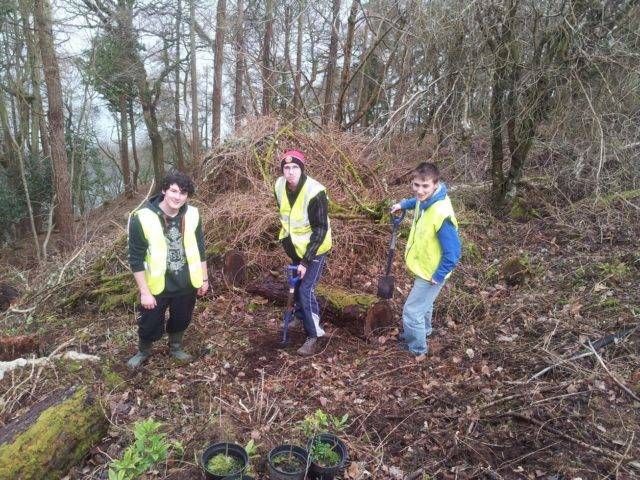 We wish to thank the volunteers and everyone who has helped us with the work." Work has started on repairing the middle path, which is to be called 'Solomon's Path'.This is the only path in the woodland to remain closed to the public - we hope that it will be open this summer. Despite the unusually cold spring, the plants that were planted around the new open air theatre are flourishing bringing colour to the slopes. Bluebells are also flowering, bringing yet more colour to the woodland floor – proving that natural growth is returning after felling the invasive species. Two benches have been placed in the Winllan during May, made using oak and larch from the woodland.